Before starting her 32 week program at Jensen Fitness, Michelle lived her live like any typical 30-something person. She did some activity and didn’t have the best nutrition, she still ate like she had in her 20’s and realized as she approached an older age that she couldn’t continue with this type of lifestyle. Prior to Michelle’s 50 pound weight loss, she was finding that it embarrassing to go to work and go out in public. She began avoiding events and meeting up with friends, because she didn’t want people to see how she looked. Everything changed when she saw an advertisement on her facebook feed about Jensen Fitness. She found inspiration from pictures of Christine and stories of other people who had trained with Jensen. Michelle found that her biggest hurdle was plateauing and wanting to settle. 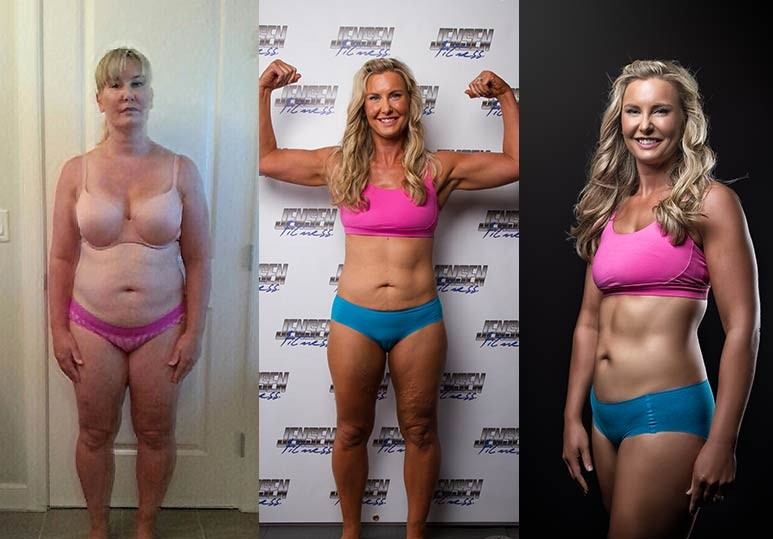 “Coming and seeing Shayne and Christine was encouraging, and when I got to a down point I would send them a message and they would push me to meet my goal.” Michelle would totally recommend Jensen Fitness to others who want to make a transformation.